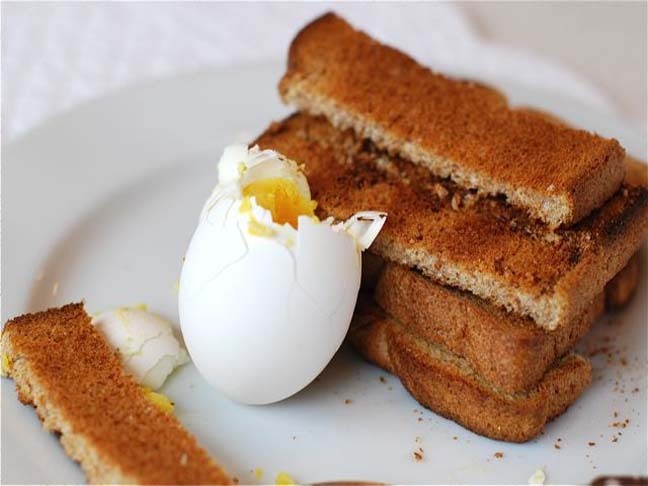 The hard boiled egg is truly a classic breakfast for Easter morning. To make eggs and soldiers I follow this very simple method. First, I drop the whole egg in boiling water for 3 minutes. Then I turn off the water and let the egg sit in it for another 2 minutes. I find this produces a perfectly soft boiled egg. While the egg is boiling I toast some whole wheat bread and slice it into little spears. When the egg is ready I dip the spears straight into the egg yolk and enjoy!